Diamond Fun Casino provides luxury & professional fun casino hire in the UK & in Europe. 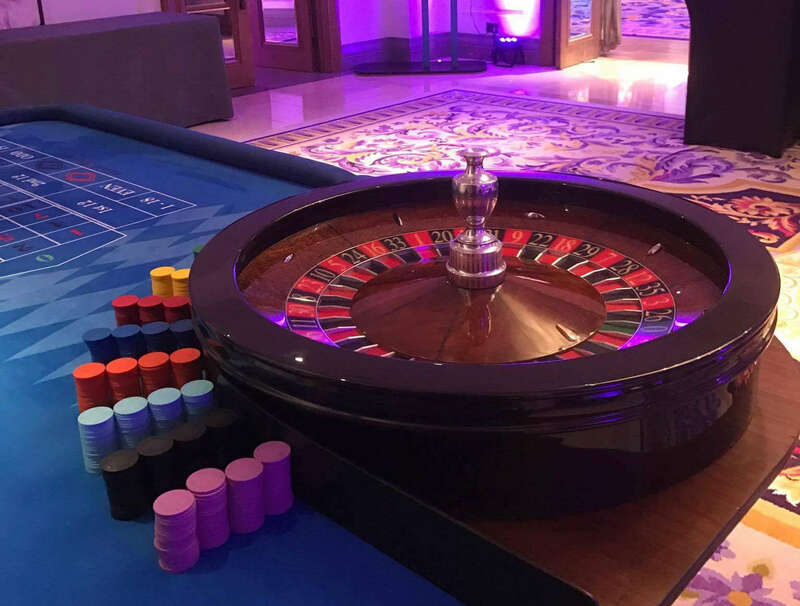 Regular venues we provide our casino entertainment for include the top of London skyscrapers, historic royal palaces and Mayfair hotels but in September 2018 we took our fun casino and professional croupiers a little further. We were delighted to be invited by one of the world’s top wedding planners to take our casino & croupiers to a splendid wedding party at the exclusive Aman Sveti Stefan hotel in Montenegro. Originally a fishing village, the islet of Sveti Stefan was first transformed into a luxurious high end resort in the 1950’s and hosted stars such as Elizabeth Taylor, Sophia Loren & Marilyn Monroe.Today’s celebrity guests have included David & Victoria Beckham. In 2006 Daniel Craig appeared as James Bond for the first time. The film was ‘Casino Royale’and the casino scene was set in Montenegro. A tuxedo clad James Bond took on the villain Le Chiffre in a high stakes poker game & beat his full house with a straight flush.In reality the film was actually shot in different locations across the globe, but not actually in Montenegro although the film portrayed it as here. For our event in Montenegro we provided a casino suitable for James Bond himself. We had a mix of games : blackjack, roulette, craps (dice) & Texas Hold’em poker as well as our fun slot machines.The room was draped in blue velvet which complimented our blue casino tables & together they created a wonderfully plush and seductive casino oasis.With our croupiers collectively having over a century of casino experience the guests were able to enjoy the gaming to the absolute maximum. It was no mean feat to take our casino equipment to Montenegro, it was over 2000 miles return trip by road crossing through France, Belgium, the Netherlands, Germany, Austria, Slovenia, Croatia,Bosnia and Herzegovina and then into Montenegro. The trip involved crossing the sea, over lakes & bays by ferries & bridges and navigating up and down mountains.The timing and logistics of the trip were calculated to perfection and the event went as smoothly as if it was a local London event. The whole experience was utterly fabulous our croupiers take everything in their stride and can cope with any eventuality of any event. We are incredibly proud to make each and every event a success, no matter what, when, where or for whom, every event is special to us and every event deserves to be the best it can be.